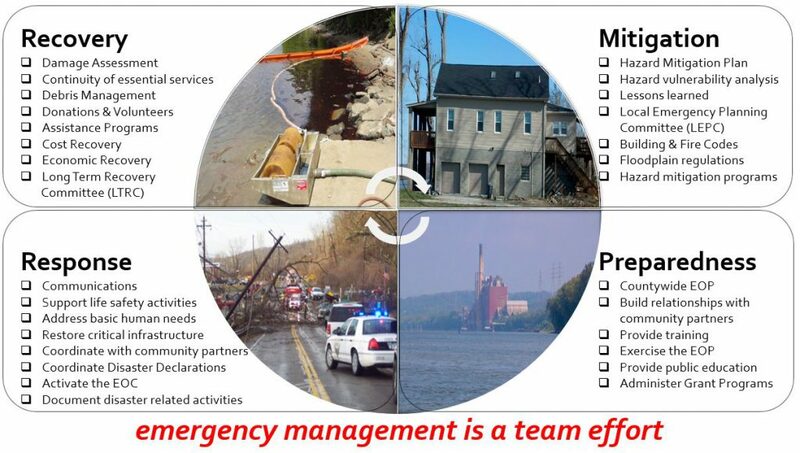 The Ohio EMA Mitigation Branch is reopening the application process for the Hazard Mitigation Grant Program (tied to the Major Disaster Declaration for the State of Ohio as a result of the February 2018 flooding (FEMA-4360-DR)). This funding opportunity is available to all Counties, Cities, Townships and Villages even those that were not affected by the specific event. The objectives of this grant opportunity are to reduce or eliminate risk to life and property from natural hazards, to implement projects identified in the County All-Hazard Mitigation Plan, and to implement mitigation measures directly tied to disaster recovery. 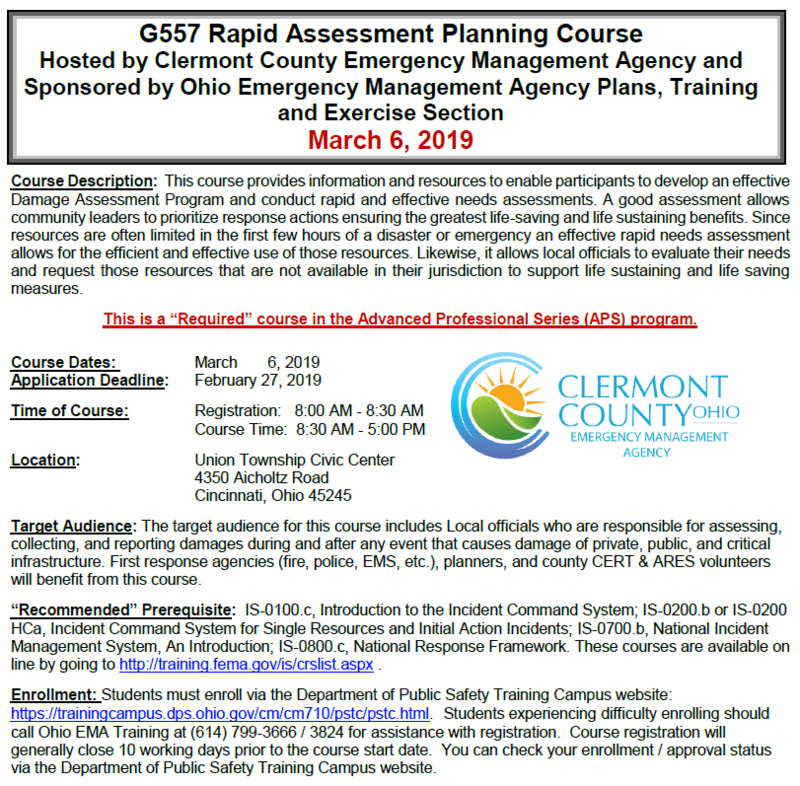 For additional information on this opportunity, see the Ohio EMA Mitigation media release. 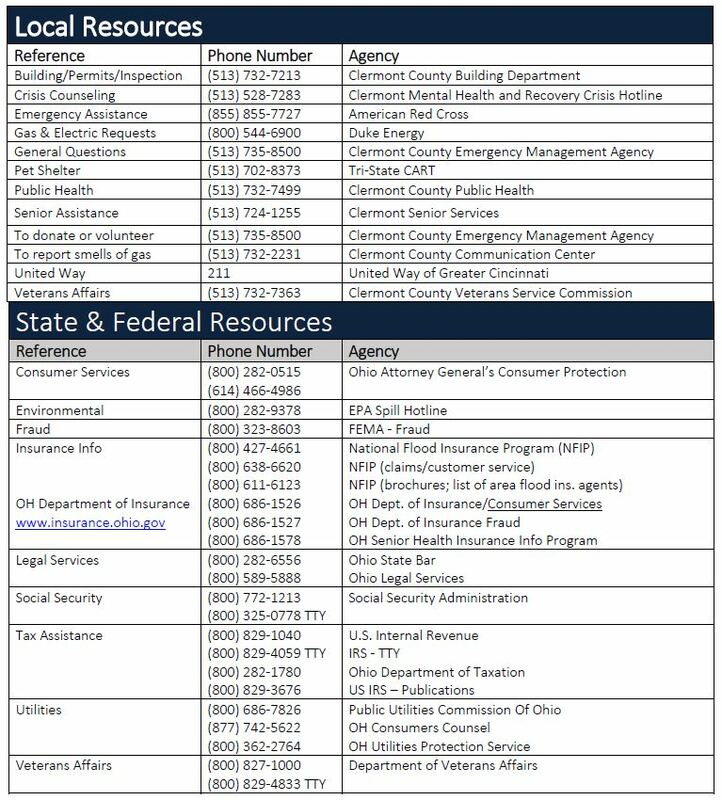 The Ohio Emergency Management Agency has announced the Ohio Safe Room Rebate Program is once again accepting applications. The Program provides a rebate to Ohio Homeowners for the purchase and installation of tornado safe rooms. Homeowners that are selected for the program are eligible for a rebate of 75% of the cost to purchase, install and/or construct a safe room up to a maximum of $4,875.00. Safe rooms are defined as any above or below ground shelter that meets or exceed the requirements outlined in FEMA Publication 320 and/or 361. For additional information on safe rooms, visit: https://www.fema.gov/residential-safe-rooms. The U.S. Small Business Administration (SBA) announced that Economic Injury Disaster Loans are available to small businesses, small agricultural cooperatives, small businesses engaged in aquaculture, and private nonprofit organizations located in Adams, Brown, Clermont, Lawrence, and Scioto counties as a result of excessive rain, moisture, flooding, and flash flooding that occurred from April 1 – November 8, 2018. Applications will be accepted through July 29, 2019.